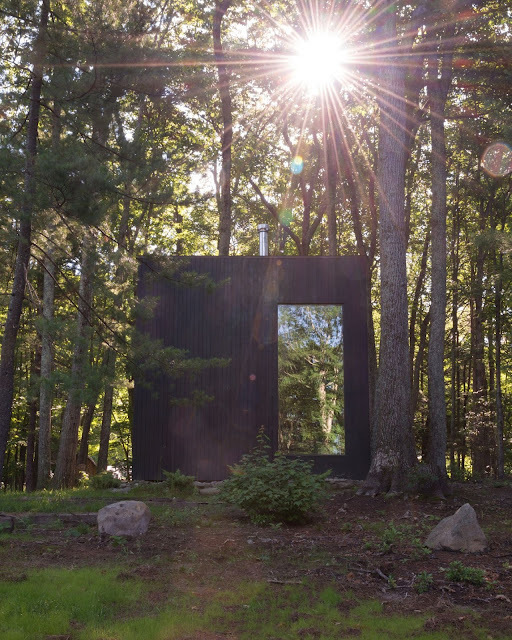 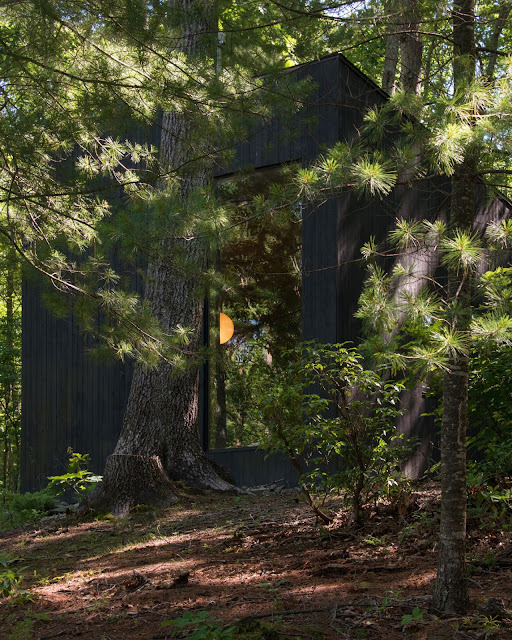 Definitely among the nicest and most innovative homes I've ever seen is this gorgeous cabin in upstate New York. The cabin spans just 320 sq ft but provides a comfortable retreat in the woods. 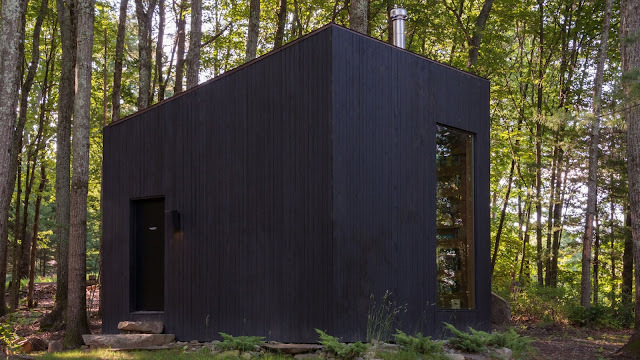 The home's owner wanted something that reminded him of the Norwegian cabins he spent time in as a child. He also wanted it to be simple enough that he could build it himself. Working with architect Brandon Padron of Studio Padron, they came up with the perfect design. Nicknamed "Hemmelig Rom" ("secret room" in Norweigan), it took about 12-months to put together. 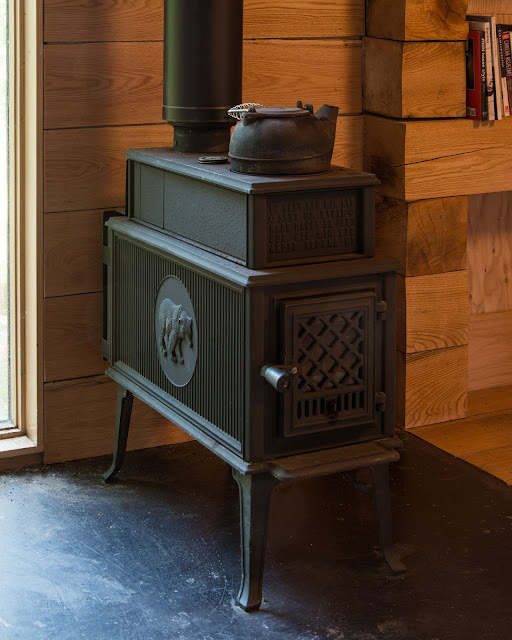 It's a simple one-room cabin but has a bed, desk, and wood-burning stove. 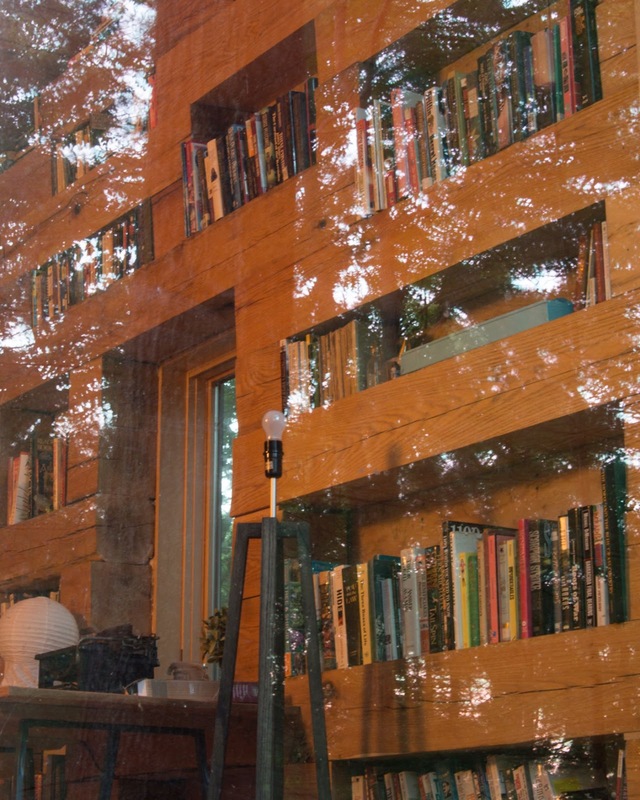 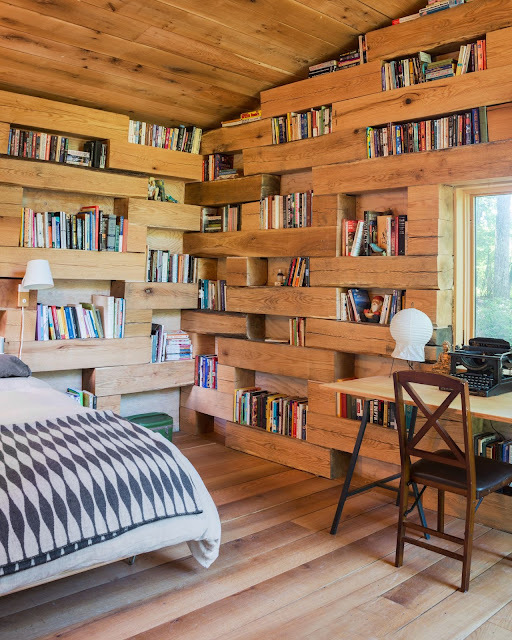 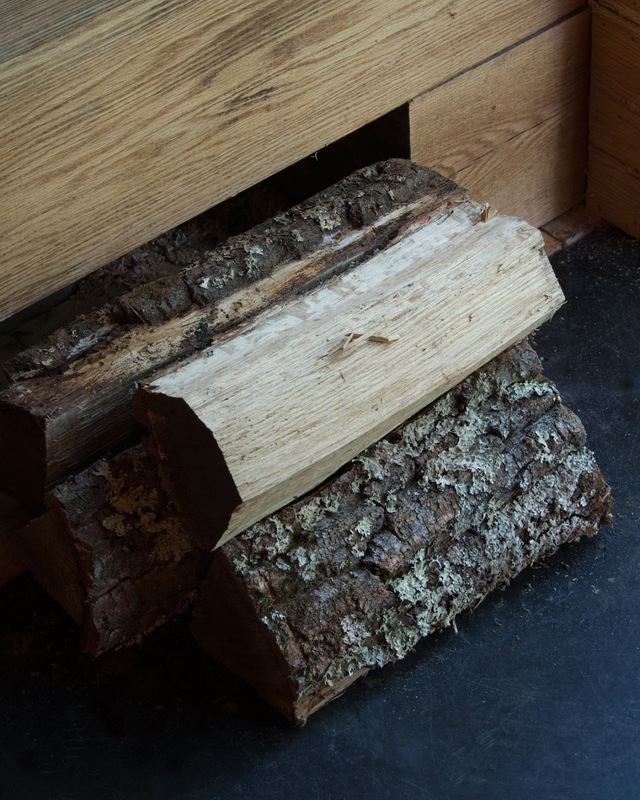 By far the coolest feature of the cabin are the square-cut logs that serve as bookshelves along most of the home's walls. 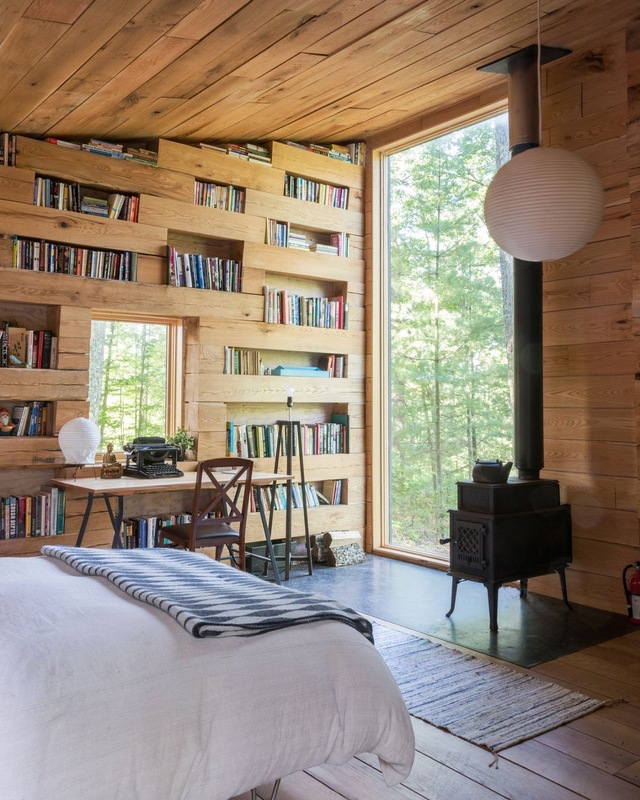 An ideal place to spend a weekend in bed with a good book!